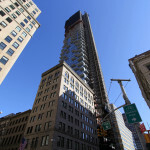 While still shrouded in construction netting, the eleven uppermost stories of the tower are composed of ten unparalleled penthouses that promise soaring 14-foot ceilings, east-to-west skyline galleries to maximize views, spacious cedar-lined closets, wood-burning fireplaces, grand entry galleries, and exercise rooms. 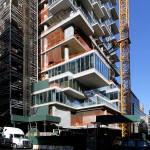 Each of the building’s residences has a unique layout and on the uppermost levels, floor slabs cantilever as much as 25 feet, creating a sense of endless space when coupled with the floor-to-ceiling glass and outdoor balconies. 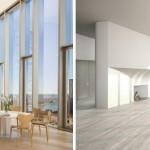 According to CityRealty, just two of these penthouse homes are still available: a $17.8 million four-bedroom on the 52nd floor and a $34.5 million five-bedroom on the 58th floor. 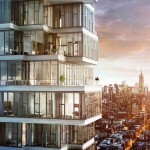 If these sky villas fall out of your price range, 56 Leonard still provides us with plenty of eye-candy from the outside. 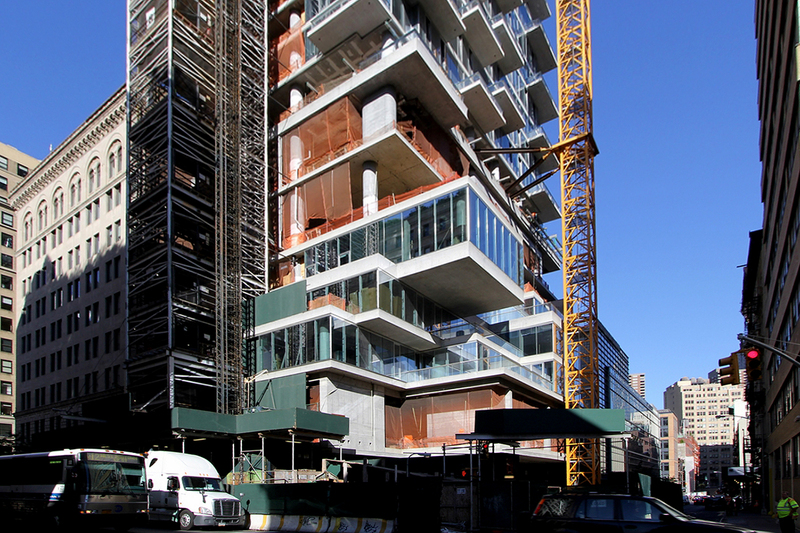 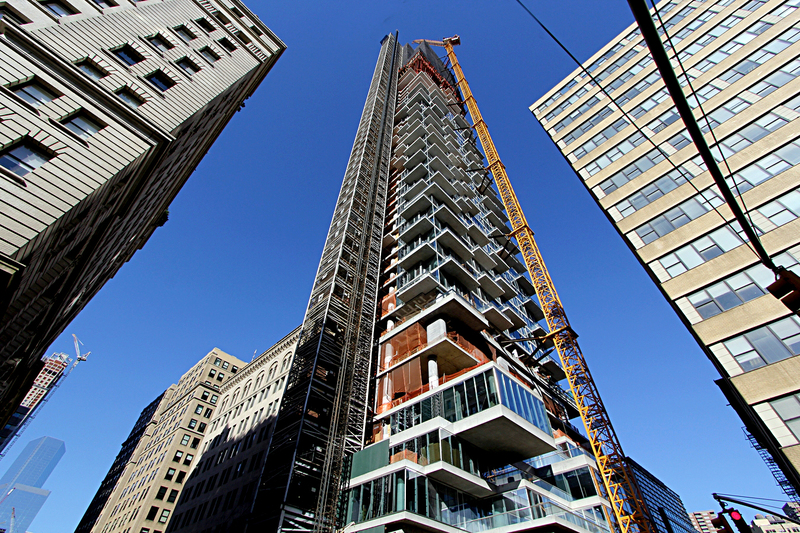 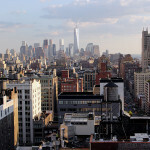 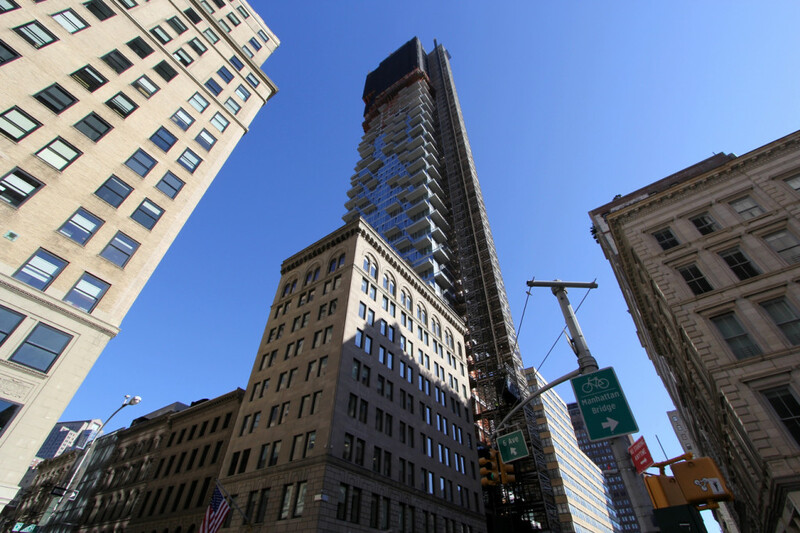 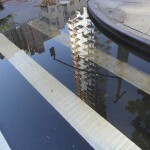 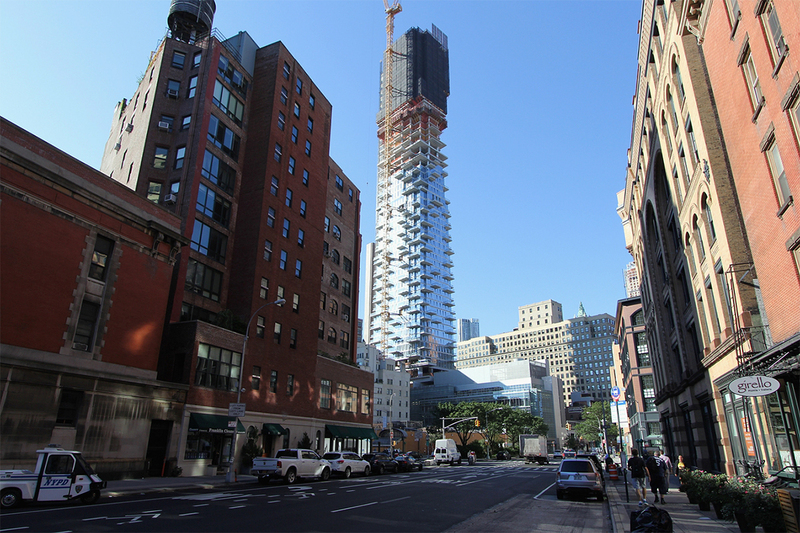 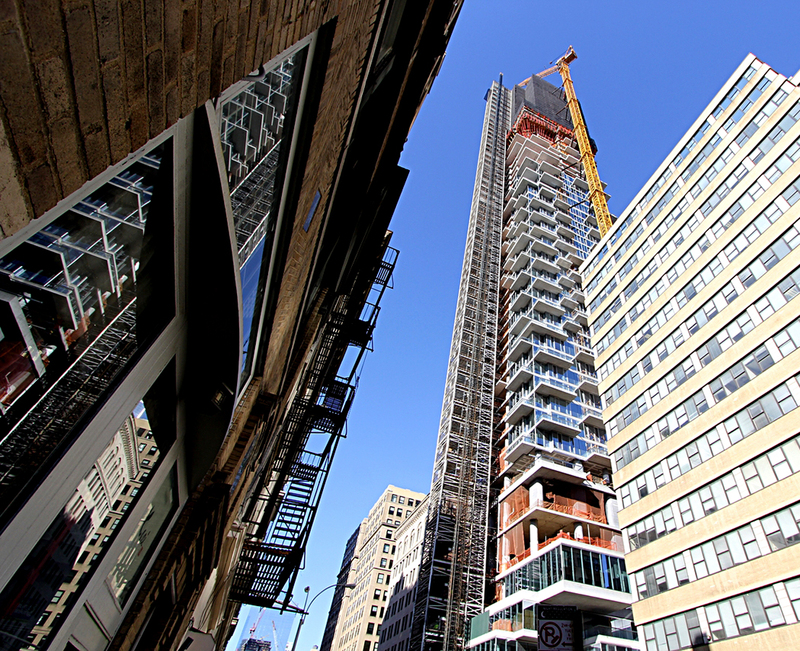 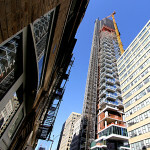 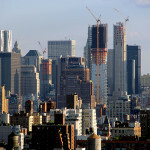 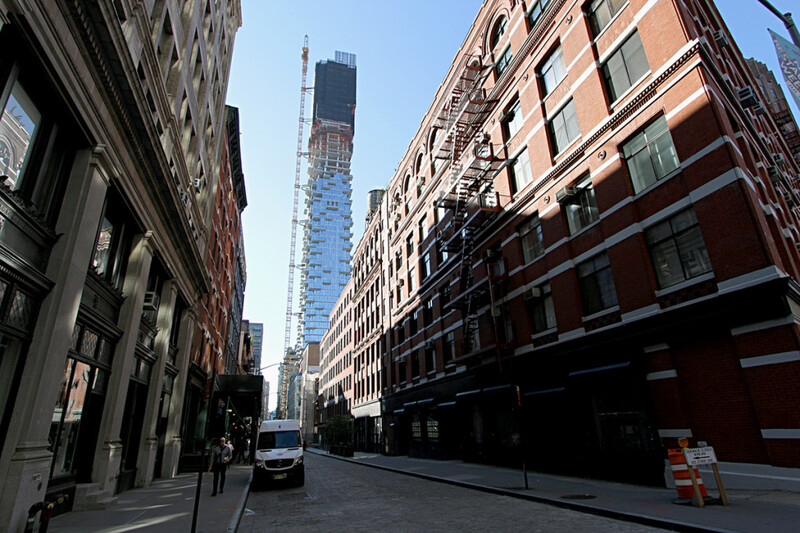 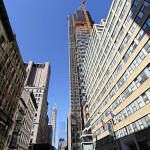 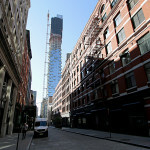 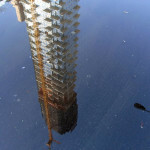 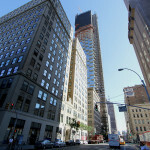 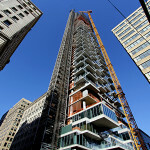 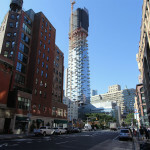 Read More about 56 Leonard at CityRealty and be sure to check out all of the construction photos in our gallery below.